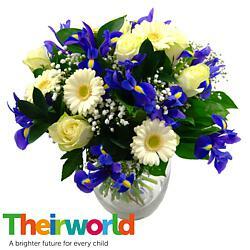 Send new baby flowers to congratulate someone on their new arrival with our range of baby gifts! 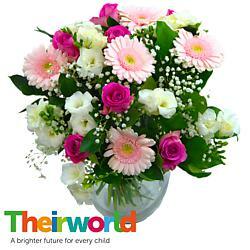 Our charming range of New Baby Flowers and Bouquets are ideal for sending your good wishes to the family, and are available for next day flower delivery throughout the UK. Sending a vibrant and colourful bouquet of flowers is a perfect new baby gift to celebrate the happiness of a new little bundle of joy! 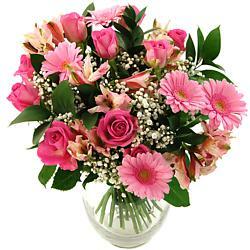 The traditional choice is of course to send Pink flowers for next-day delivery for new baby girls, or send Blue flowers for next-day delivery for new baby boys. 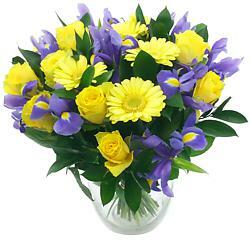 Our New Baby flowers are available with next day delivery included, making it easy for you to arrange to send the flowers once the parents are back at home. New babies bring joy and life to every family that is blessed enough to welcome one into their home. 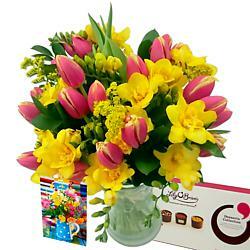 Family and friends come together to welcome this new person, and with that often comes many celebrations and good wishes. 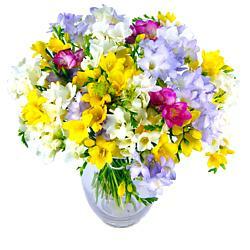 One way to make sure a growing family feels the love from those around them is to bring them flowers. 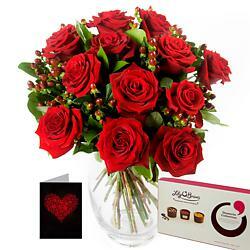 Whether it's before the baby is born or after a family welcomes a new arrival, flowers are sure to fill their hearts with love - and we have the perfect bouquet for every occasion. 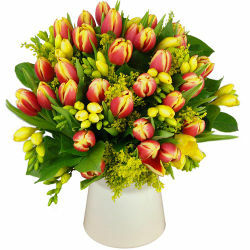 Send them to the family in advance to warm their home in time for their arrival, or bring an arrangement to them in person. No matter which you choose, buying flowers for a new baby sends the same message: You share this family's joy and you want to do your part to make sure that joy lasts. 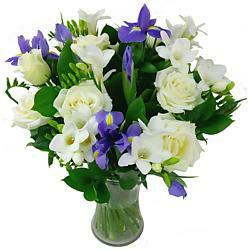 We have suggested our favourite new baby flowers above and for those who prefer not to send pink or blue flowers; we also have a broad range of assorted flower arrangements that might suit including our Classic Bouquets and lilies for next-day delivery. 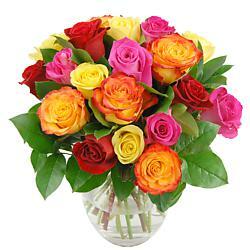 If you are on a budget, then take a look at our special offer flowers and cool value flowers. 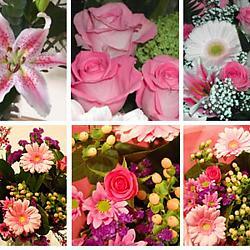 If you would like to send flowers today then take a look at our range of Same day flowers. 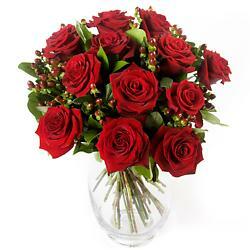 Every single one of our new baby flower bouquets includes free standard next day delivery across the UK - ideal if a family member you wish to send flowers to is on the other side of the country. 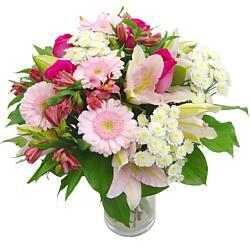 New baby flowers can also be sent on either Saturday or Sunday for a small surcharge if weekend delivery is sought.